But that doesn’t mean you’re always wrong. The average business only hears from 4% of its dissatisfied customers. And for every complaint, 26 other customers remain silent. So how are you supposed to know how what’s working well and what to improve on? For all of the feedback we see on social media these days, getting a holistic picture of your customer service is surprisingly challenging. That’s why we’ve rounded up some common customer service mistakes and how we’ve seen real life brands tackle them. Even if you have the right message and the right intentions, it’s all about how you deliver it. And striking the right tone can be tricky with customers. While 65% of all customers usually prefer a casual tone over a formal one, this changes when the customer is being denied a request. It’s all about context. Personalize your tone based on audience, channel, and the situation. Here’s a really great example of how one UK supermarket chain turned a complaint into an opportunity to have fun. 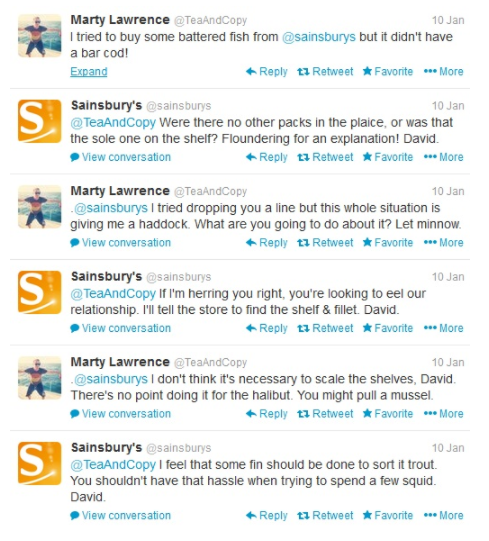 David, Sainsbury’s Social Media Manager, jumped to action when Marty wrote in about an issue he had with purchasing battered fish from the supermarket. He played on the seafood puns and also signed the tweets off with his name for a personal touch. In the age of Face ID, Netflix recommendations, and Seamless Reorder on Alexa, customers expect you to know them. A majority of customers, 72% of them, expect customer service reps to know their contact information and service history right from the start of the conversation without being asked for it. But a recent study revealed that 79% of customer support centers have no bigger picture view of a customers’ interactions across service channels. That’s because customer data is siloed across different channels, platforms, and devices. The average American owns four digital devices and spends 60 hours a week consuming content across these devices. Look for a good CRM, customer relationship management software, to plug in across every aspect of the customer funnel. Make sure all of the right teams have access to the data and can collaborate off of their insights. At Bitly, we use Salesforce, Intercom, and Zendesk. We also use Bitly, of course. 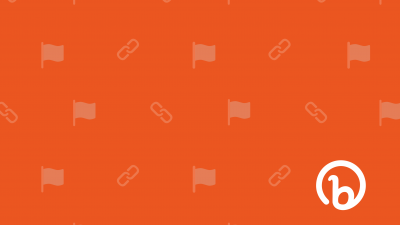 We plug Bitly links into each channel, the blog, social, email and more, to track and share content performance. 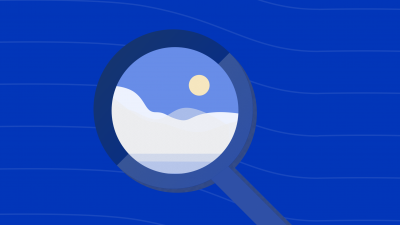 Our team is able to identify which topics are of most interest to our community, which channels our audience is engaging from, and what devices they’re on. Through tracking with Bitly links, we found out that most of our users were coming to the support page from Twitter and a majority of them were based in the United States. Back in our dashboard, we can also see clicks over time, so we can determine peak months for support. Everyone is a micro-influencer these days. One tweet, snap, or Instagram post about your product has the potential to affect buying behavior. Friends, family, or even strangers who stumble on the post via a hashtag will take that post into consideration. Unhappy customers might not complain to you, but they will tell 9 – 15 people about their negative experience. While happy customers only tell 4 – 6 people. Every interaction with a customer is an opportunity to build a relationship. I recently purchased a pair of ski goggles from Backcountry and I was impressed when an account manager – the company calls them Gearheads – reached out to me over the phone and via email a few days later. Despite the volume of customers he must be working with on a daily basis, my Gearhead sent me an email that felt personalized. He asked if I had any upcoming trips and he also took the time to introduce himself and his shared passion for skiing. To top it off, he explained more about his role, how he could help and when he’s available. This is the kind of interaction that helps strike up a relationship because the customer knows exactly where to find help, knows that they will be heard, and most importantly trusts that the rep is knowledgeable in the space. 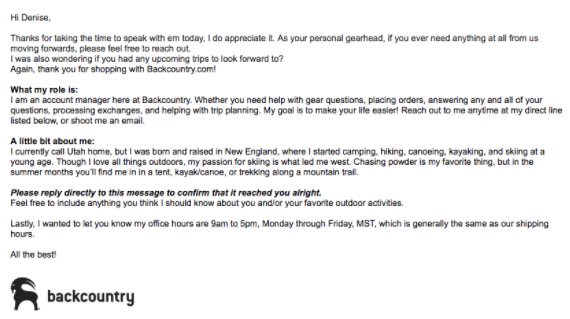 Backcountry’s email certainly won me over since I’m now advocating for the brand in this blog post! It can be tempting to simply give the customer what they need and close out that support ticket. Especially when you’re dealing with a high volume of inbound messages. But thinking beyond that one purchase or interaction is what’s going to get customers spreading positive feedback about your brand. 4) Relying Too Much on Chatbots and A.I. Chatbots have come a long way from the days of SmarterChild on AIM. They’re trained to know the user and they’ve also become a lot more realistic. Sometimes, it’s hard to even tell that you’re talking to a bot. Amy, x.ai’s bot, was asked out on a date nearly once a month in 2015! Research shows that 57% of brands are either already using chatbots or plan to in the next year. This makes sense because chatbots solve a lot of the pain points we’ve listed above. They can immediately pull up historical information on a shopper at the start of the conversation and personalize the experience. They can even learn what words or what tone to best use with customers by analyzing large sets of conversations. But, most of the time, bots still need some sort of human intervention. We’ve probably all experienced ill-timed or irrelevant automated tweets before. It’s frustrating when you receive a canned “Thanks for your support!” tweet after writing in to a brand about an issue you’re experiencing. LogiNext, a workforce operations software company, says that the biggest issue is that chatbots can’t understand things like sarcasm. 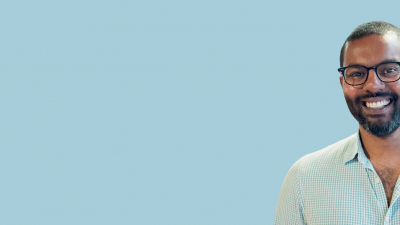 “There was a risk to customer service… currently chatbots aren’t sophisticated enough to understand the context,” says Dhruvil Sanghvi, Co-Founder and CEO, LogiNext. The company tested customer service bots recently and ultimately stopped the project since they couldn’t get accuracy levels high enough. As the number of channels and devices continue to grow, it can feel overwhelming to keep up the same level of care, helpfulness, and attentiveness at scale. Automation technology can help speed up response times and collect more data about your customers needs and wants. Solutions like chatbots and machine learning can solve a lot of the pain points we explored above. They can help you identify the best way to phrase answers, the best channels to communicate through, and maybe even proactively provide solutions before the customer even writes in. Most businesses, 80%, want chat bots by 2020. But as we explore these new technologies it’s important to remember that customers still value that human element the most. Customers say that human empathy is the number one thing that matters most to them when it comes to customer service. And that’s one thing the customer is definitely right about. Personalizing the experience, listening, and providing value are steps to building a relationship that will win your customers for life.